If viewing cascading waterfalls, bubbling streams, and colorful fish and plants sounds inviting to you, you’ll want to attend this year’s Twin Cities Parade of Ponds. 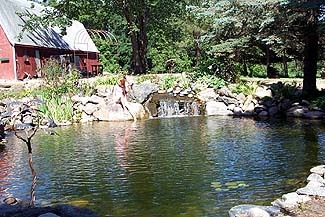 Expanded to two weekends, this largest of all Minnesota garden tours runs July 24-25 and July 31-August 1. The 2004 tour includes over 100 private water gardens. Sponsored by Hedberg Aggregates, Inc., the Twin Cities Parade of Ponds raises money (over $37,000 last year) for Children’s Cancer Research Fund and the Minnesota Water Garden Society. 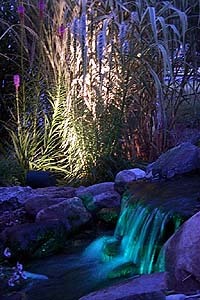 New this year are special night tours, so you can see the fabulous garden lighting of select ponds. Tour wristbands and guidebooks are $18.00/person (age 13 and up; 12 and under, free). They are available now at all Bachman’s Garden Centers, Hedberg Aggregates showrooms in Plymouth, Rosemount and Stillwater, or by phoning the Parade of Ponds Hotline (763) 392-5937. The Parade is a great family outing, and is a hugely valuable resource for you if you are considering creation of a water feature, or improving the water feature that didn’t turn out quite the way you wanted.